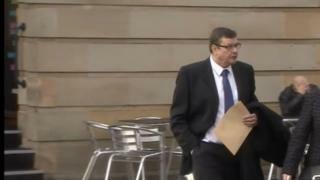 A vicar accused of groping a male student during a trans-Atlantic flight is to face a retrial. The Reverend Peter McConnell was accused of touching the man while he slept on a flight between Philadelphia and Heathrow in March 2017. He had denied sexual assault and a jury at Newcastle Crown Court failed to reach a verdict last month. The 63-year-old, of Longhorsley, Northumberland, is due to go on trial on 24 June. The court had heard Mr McConnell, a vicar at St Helen's Church in Longhorsley, and the 23-year-old American had never met before.